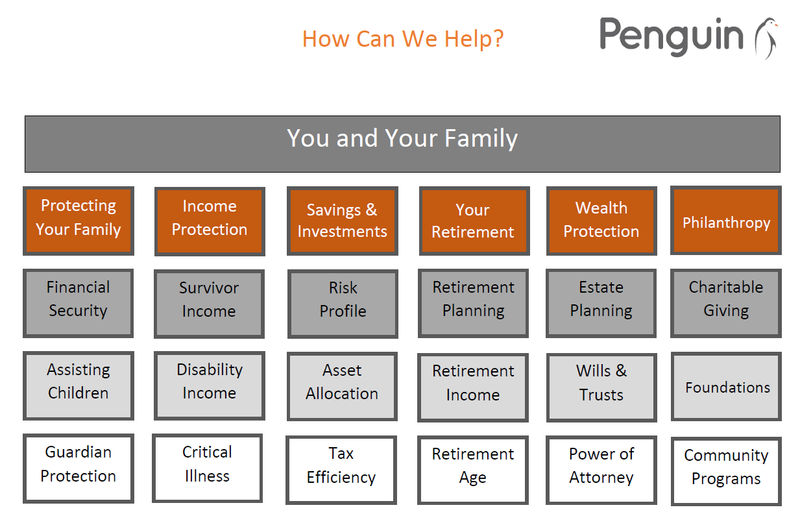 Home » Personal Financial Planning » Retirement Planning » How Can We Help? You’ve worked so hard to get where you are today, but does the future look as clear as you hoped? You have money, yes. But will it be enough? To become Financially Free sooner (rather than later)? To support that charity? Or write that book? To leave your family a legacy? Or simply spend more time with them! Is it possible – just possible – that what you’ve dreamed about is within your grasp? At Penguin we can help you to organise your finances more effectively and make your dream a reality. How to help you map out your future – and replace confusion with clarity. As your Financial Planner, we’ll be in your corner. Helping you to see the possibilities. Making sense of all the options. Not everything about life and money is black and white. That’s why we are called “Penguin”!